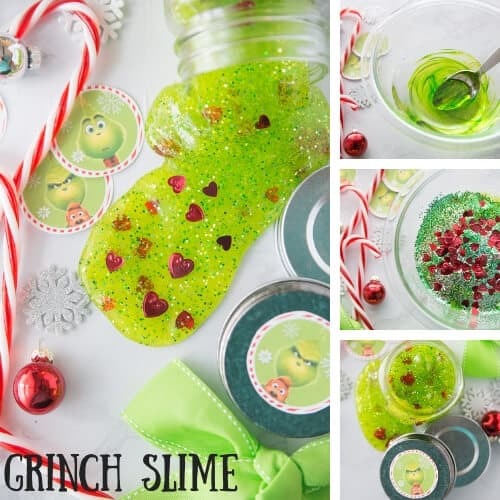 Fun Christmas Slime Recipes Your Kids Will Love To Make! Get into the spirit of the season with homemade slime! 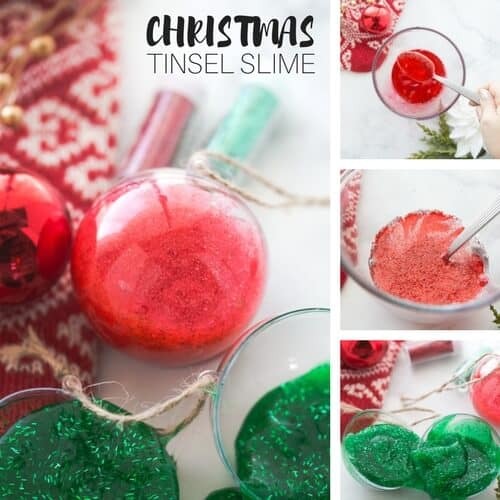 If you have slime loving kids, Christmas is another great opportunity to make festive theme slimes using our easy homemade Christmas slime recipes. From Rudolph to the Grinch, candy canes to Christmas trees, and everything in between for fun holiday themes. 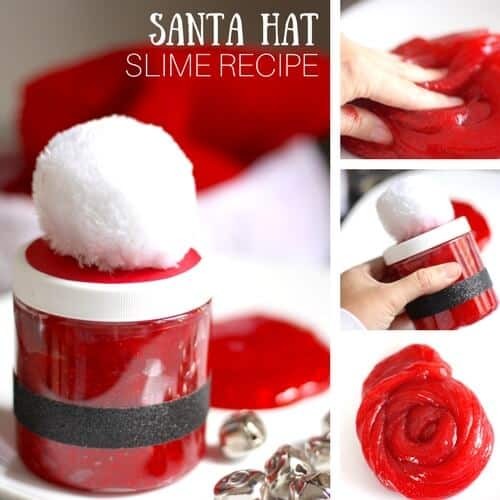 Get creative and pick your favorite ways to celebrate Christmas and add them to your holiday slimes. Making Christmas slime is easy! Plus, it’s the perfect STEM activities for kids as well! Don’t forget to check out our other easy science experiments for kids with a ton of other Christmas STEM challenges! 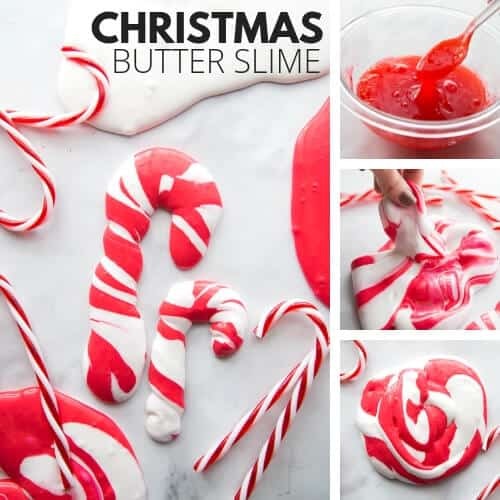 This is going to be your ultimate resource for the best Christmas slime recipes and videos! You won’t need anything else, I promise! All season long, we will be adding fun slimes to the list. My mind is already whirling with ideas, but we have plenty for you to start with right now. All our slimes use one of our four basic slime recipes, so once you have those down, the themes you can create are endless. Your own imagination is all you need. We really love seasons and holidays, so you will find that we are always making fun versions of our favorite basic slime recipes to go along with the current season or holiday. BASIC SLIME RECIPES ARE EASY! Right now, we are focused on bringing you some really fun and festive Christmas slime recipes. Plus we try to include a few videos with our resource guide so you can see how easy slime making is. 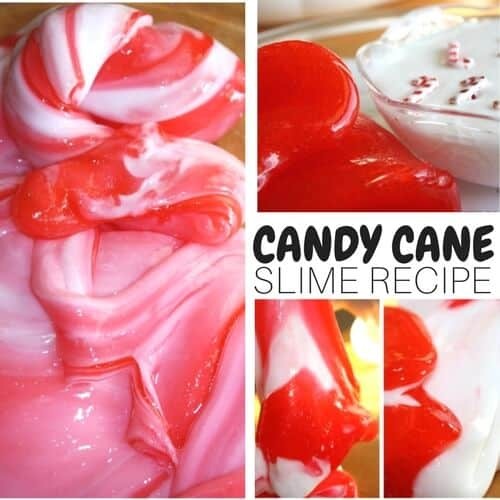 My favorite this year is the candy cane butter slime as seen in the video below. Over the last few years, we have become fascinated with making slime! Slime for all occasions, themes, seasons, and holidays is really our specialty. At first, I thought this slime making thing was going to be super hard, and that I would never be able to get right. But then I tried it and loved it. Of course, there was trial and error involved, but we were committed to making slime as easy as possible. Then we couldn’t stop!. 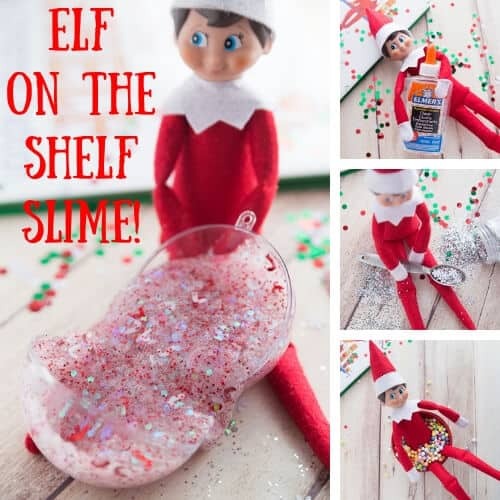 HOW DOES THIS CHRISTMAS SLIME GUIDE WORK? Click on either the red links or pictures below to be taken to each individual Christmas slime theme. I will share with you the basic slime recipes you can use and provide those details. We feature each of our basic slime recipes on their own page, so we aren’t constantly repeating the directions. You will find step by step photos, directions, helpful hints, and a start to finish video. You will also be able to read a little bit about the science behind the slime. Believe it or not, slime is actually an awesome chemistry demonstration, and I have some great information you can share with your kids. Below you will find the links to all our Christmas slime recipes. 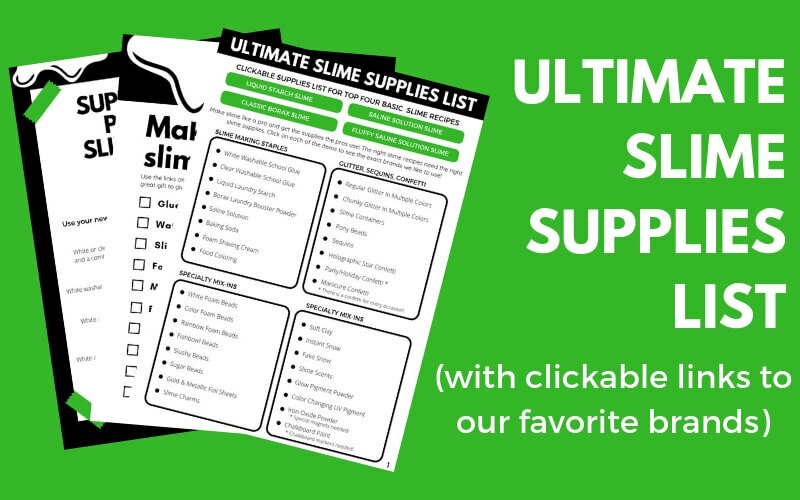 Grab Your FREE Slime Supplies Pack with Favorite Brands. Click here or at the Bottom! The base for any of these slimes uses our 4 now 5 basic slime recipes (click here) with the common slime activators which include saline solution and baking soda, borax powder, or liquid starch. We even feature a couple borax free slime recipes below too! AND if you want some very cool Christmas science activities, make sure to check out all the experiments and STEM projects here. Click on links in red or on the picture to read more! Butter slime is a new favorite with the kids (of course you can make this fun theme without the “butter” part) and it’s super simple to make! 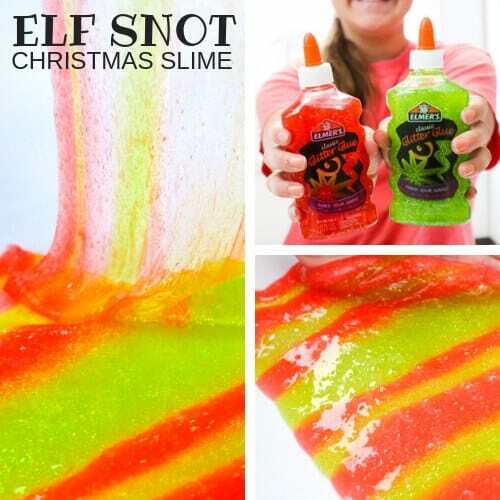 Kids love anything to do with snot and this one can have so many fun names like elf snot, reindeer snot, Santa snot, or grinch snot! We love fluffy slime because of it’s unique texture! Twist two colors into a candy cane! Watch the video below. 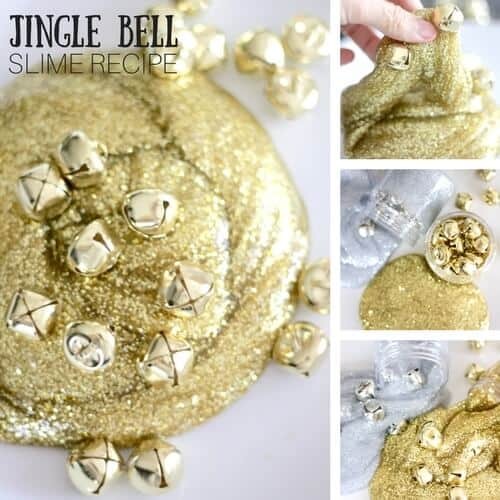 Turn slime into an ornament to give as a gift or hang on the tree. 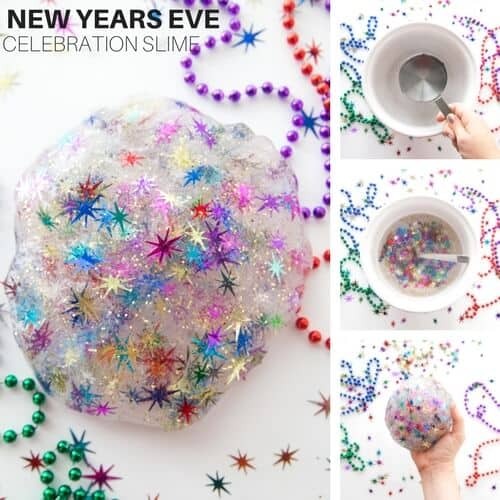 Add gorgeous tinsel glitter (a little different from the standard glitter) to this simple slime recipe! Add your favorite scents of Christmas to our easy homemade slime recipes. 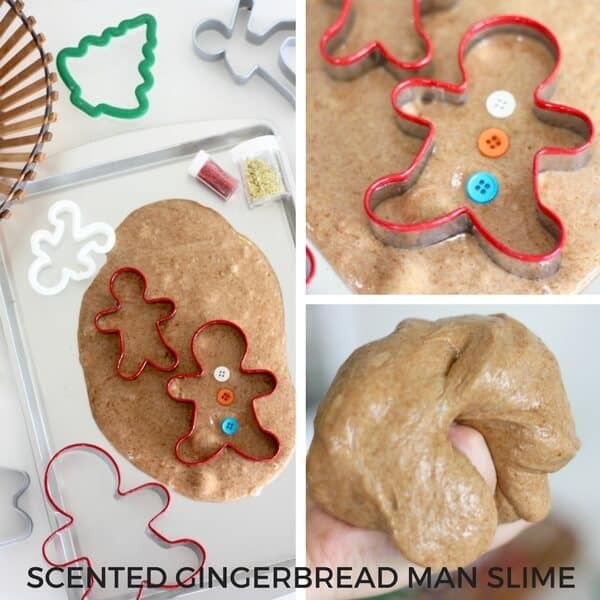 Cookie cutters make a fun addition to this slimy Christmas science and sensory activity. 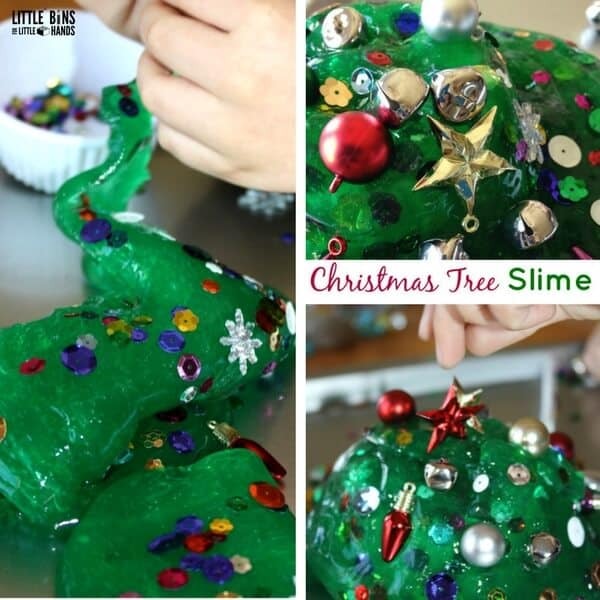 Decorate a slimy Christmas tree! Use one of our favorite basic slime recipes and miniature ornaments for a fun and easy Christmas activity. 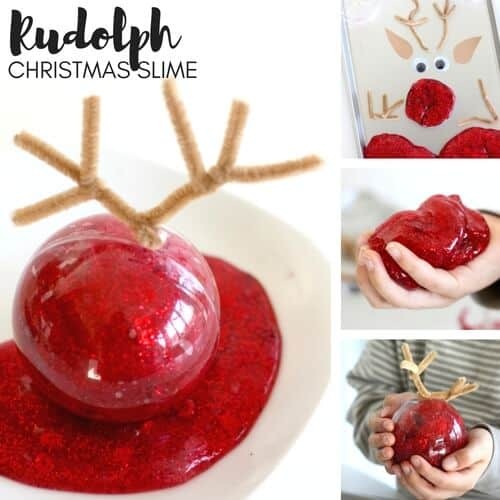 Super fun Rudolph slime and play ideas! Plenty of sequins and glitter fill this basic slime recipe! 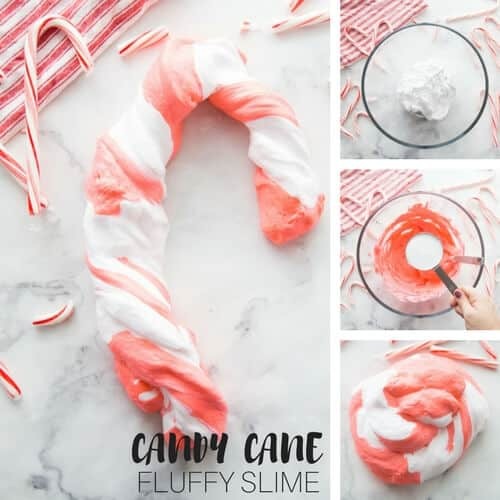 Swirl our basic slime recipes together for a gorgeous candy cane theme! 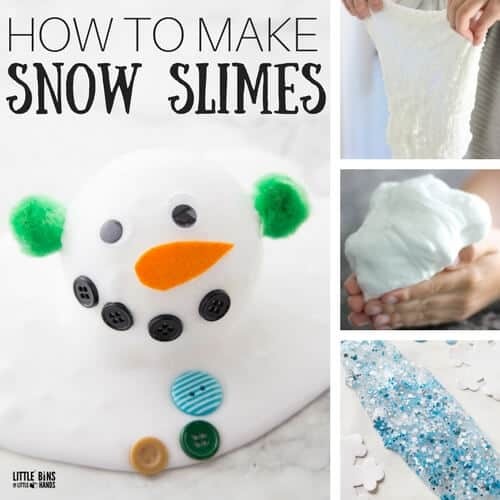 Make a slime for a favorite Christmas book! 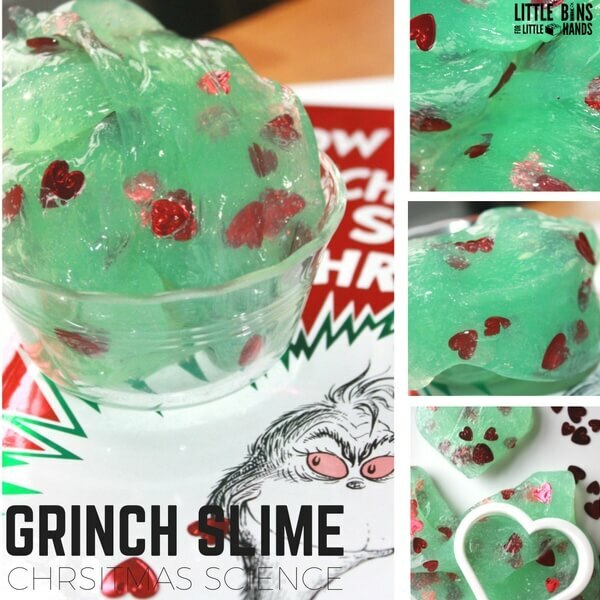 Our Grinch slime is filled with hearts. A perfect addition to the classic story, combine sensory play for a hands-on learning experience. 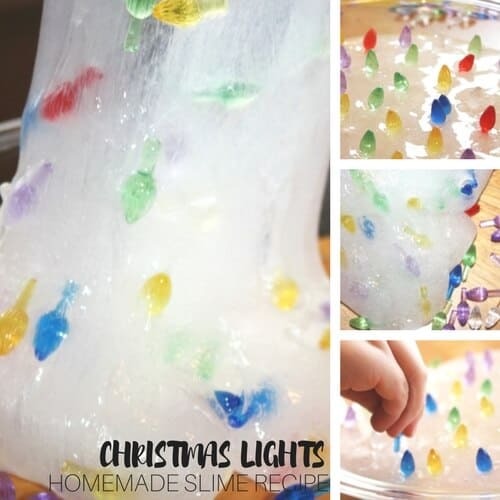 Light up the night or at least pretend too with our homemade slime filled with mini plastic Christmas lights! This is also a great winter slime recipe, but I couldn’t help but include it in the list of Christmas slime recipes! Kids love melting snowman activities. You can make the slime whatever color you want!